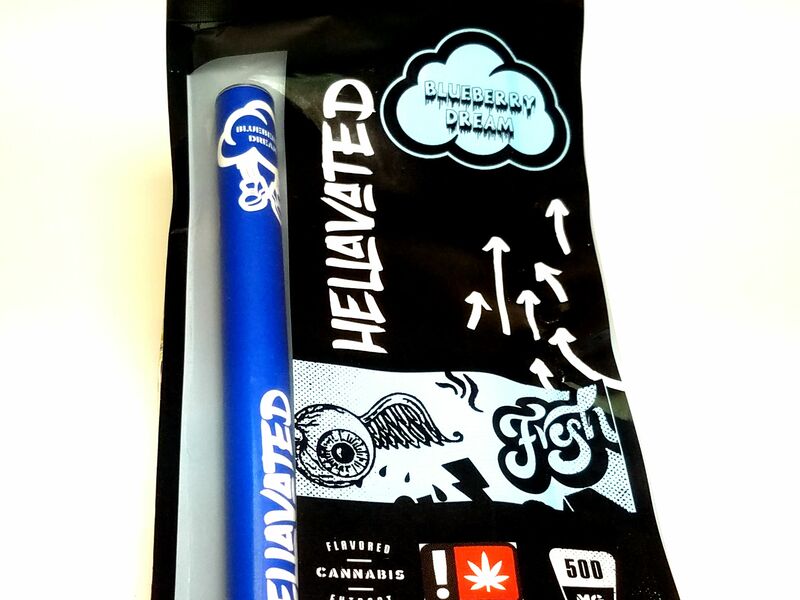 Avitas's Hellavated brand is their new fruit and herb infused flavored cartridges that taste exactly like the fruit they are based around, such as this tastes like you are sipping on a blueberry soda with a hit of pine. They are super tasty smoke without being overtly pungent and tasting like soap or artificial flavors. These are not distinctly sativa or indica as they used botanical terpenes over cannabis terpenes, which even if they smell the same as certain strains they can likely be made out of different combination of terpenes entirely. It would be best to error on the hybrid side at first! These disposable one time use pens are perfect for cartridges lovers on the go who don't want to worry about time spent charging or about how much charge is still left in their battery.